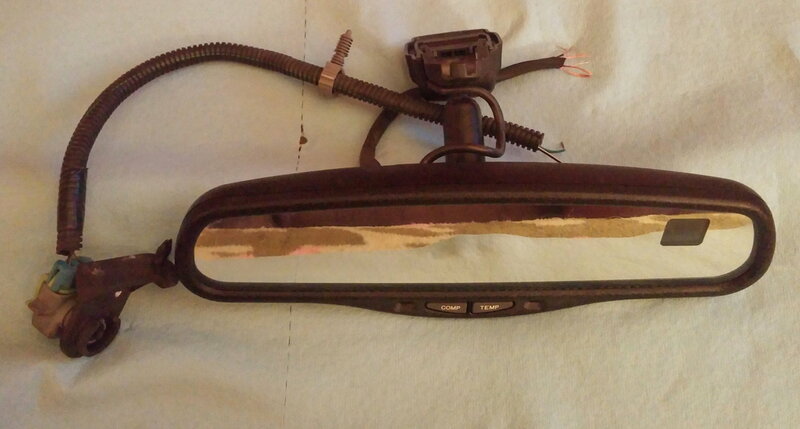 Very cool upgrade for the rear view mirror. Auto dimming with temperature & compass. Cleaned and tested, will provide link for install if you purchase. To install this you will need to run a power and ground up to the mirror and run wiring from mirror to sensor(included) which needs to be mounted behind grill in front of radiator. Hey man, if this mirror is still for sale I'd be very interested. Let me know! Another mirror ready to go.